Sunday, November 5: All Saints Sunday. 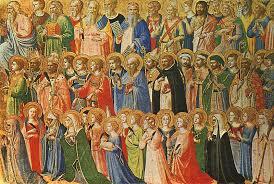 Please plan to join us for our celebration of the Saints – past, present and yet to come – at the Advocate on Sunday, November 5 at 10 AM. The Festival of All the Saints is one of the 7 major Festivals of the Church Year, and (along with Pentecost) is truly a celebration of the Church. As such, it is our custom to worship together for a single liturgy on this day. It is also our custom to visually surround ourselves with images of the great Cloud of Witnesses, the Communion of Saints on All Saints Sunday. As you are led, please bring photos of those you have loved or admired who have gone before. We will post or place these photos and icons all around our worship space. Also, if you would like prayers offered in the context of the Eucharist for particular loved ones who have gone before, please send their names to vicar@TheAdvocateChurch.org. before November 5. Kids of all ages are invited to dress as a favorite saint or hero(ine). 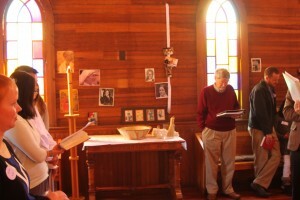 The liturgy will be followed by an All Saints Festival Potluck. As you are able, please bring a dish to share. In honor of All Saints, consider (but don’t feel obligated) sharing a recipe used by a previous generation and passed on to you.